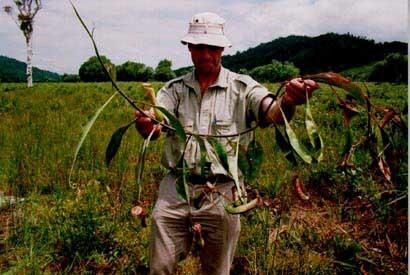 Cephalotus folliculatus, with a frog in a pitcher (left). 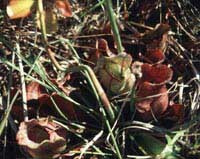 The pitchers of Cephalotus are small and close to the ground (right). 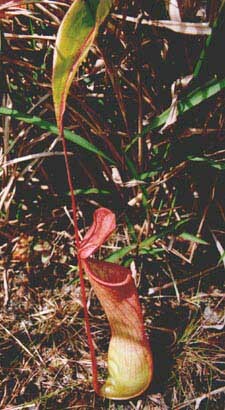 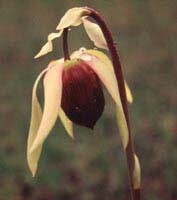 In addition to pitchers, the plant also grows normal leaves. 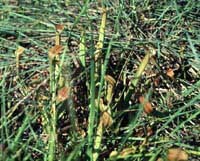 long and narrow pitchers of Sarracenia minor.